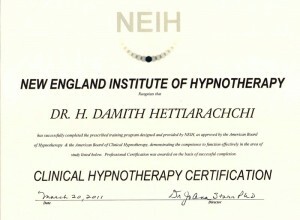 I’m a Medical Doctor and a Clinical Hypnotherapist in Sri Lanka. 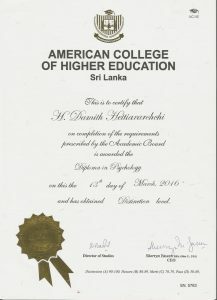 I graduated from the University of Peradeniya (Sri Lanka) and worked as a Temporary Lecturer. 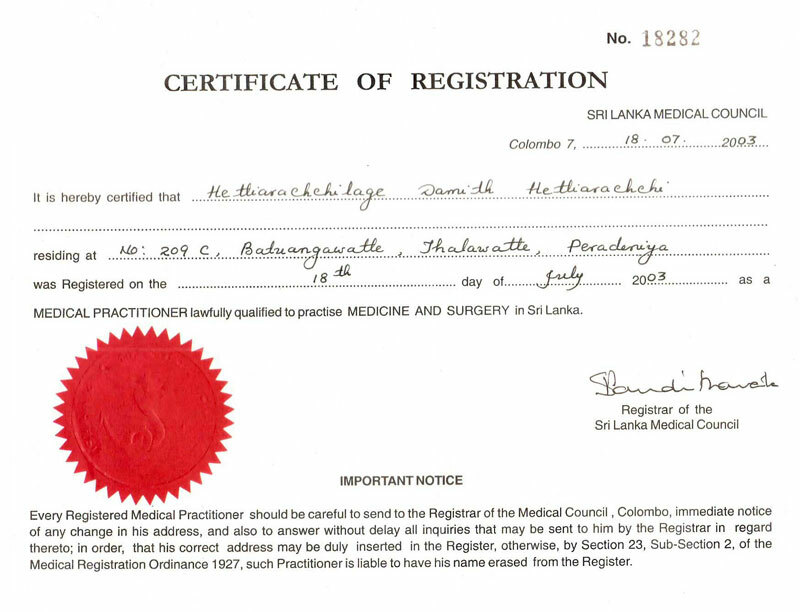 Then I joined the Government Medical Service as a Medical Officer. Since then I worked in various departments with various types of patients. 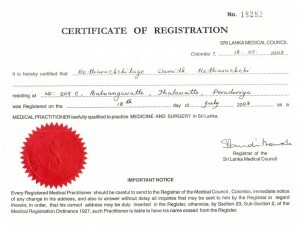 At present I’m working in Base Hospital, Gampola as the Medical Officer at the Emergency Treatment Unit and OPD. Everyone has a dream of having a “Healthy life”. To achieve it, they should first build up a healthy mind. There is no doubt that our emotions affect our body. Have you noticed how; after someone you know went through a stressful situation, he or she developed health problems? Our body responds to the way we think, feel or act. 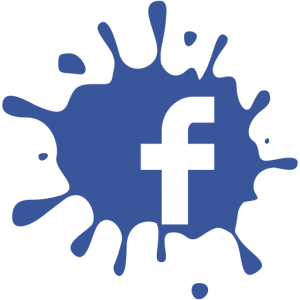 This is often called “mind body connection”. When we are stressed, anxious or depressed, we can get headaches, gastritis or high blood pressure. That means our body tries to tell us that something isn’t right. The modern world is busy and stressful. Stress is becoming the number one “killer” of health. So we often come across various types of problems and illnesses. 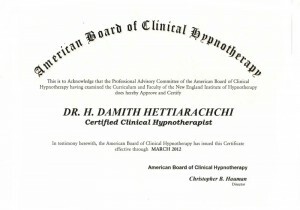 Psychotherapy is my therapeutic field of interest. Mind has a remarkable capacity to heal. 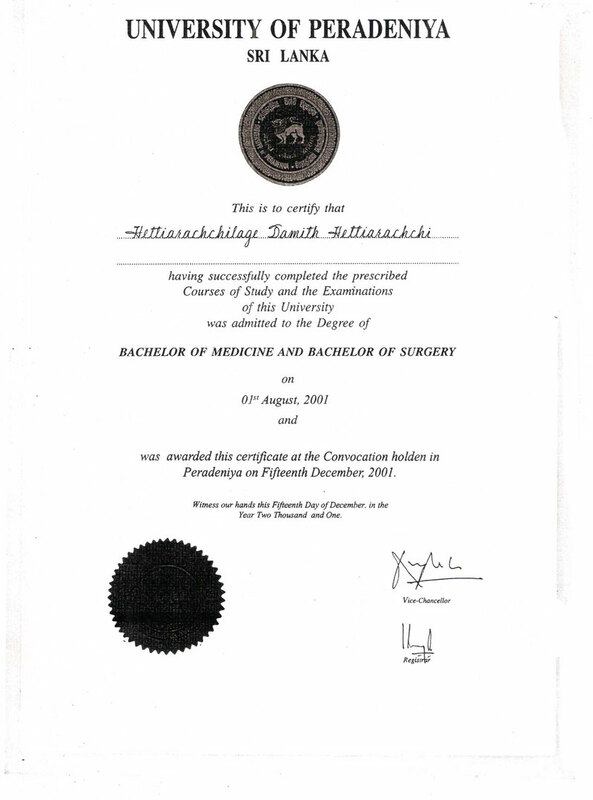 I have done a number of studies, researches and have involved in patient care for the past years. 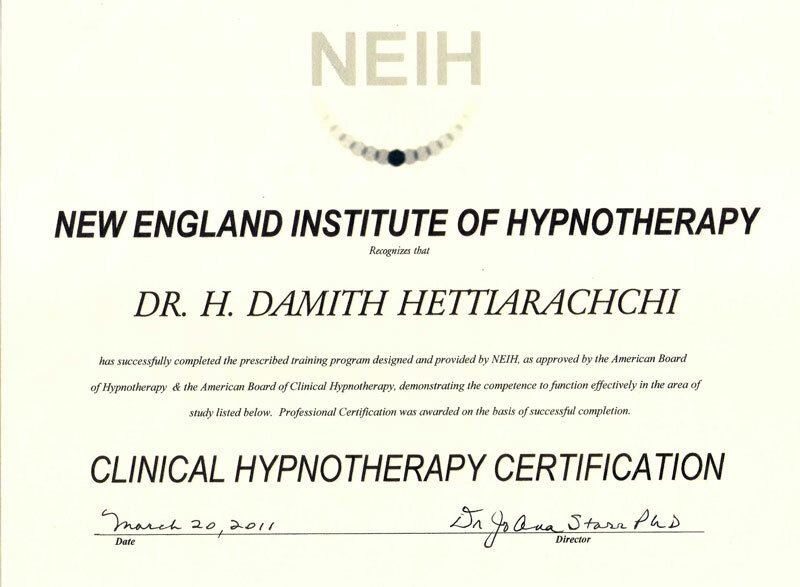 I’m a certified clinical hypnotherapist in USA. 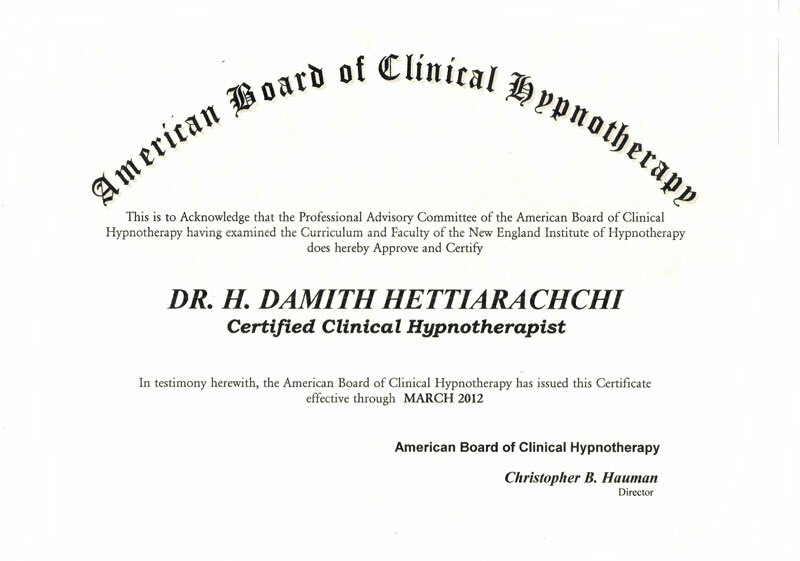 My therapeutic approach is simple, individually based and problem focused. Patients and families are respected and interviewed in a friendly manner, in a non judgmental environment. Patient’s privacy is maintained and support is given towards a positive change to achieve their goals. 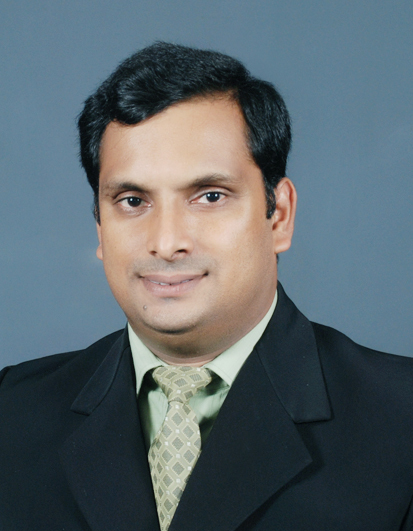 I have written number of articles, published them in news papers, magazines and internet. They are freely available here on this website. You can view them by clicking the article section, and I hope they will help you. My heartfelt appreciation goes to my parents, teachers, family and everyone who helps, encourages and comments on my work.